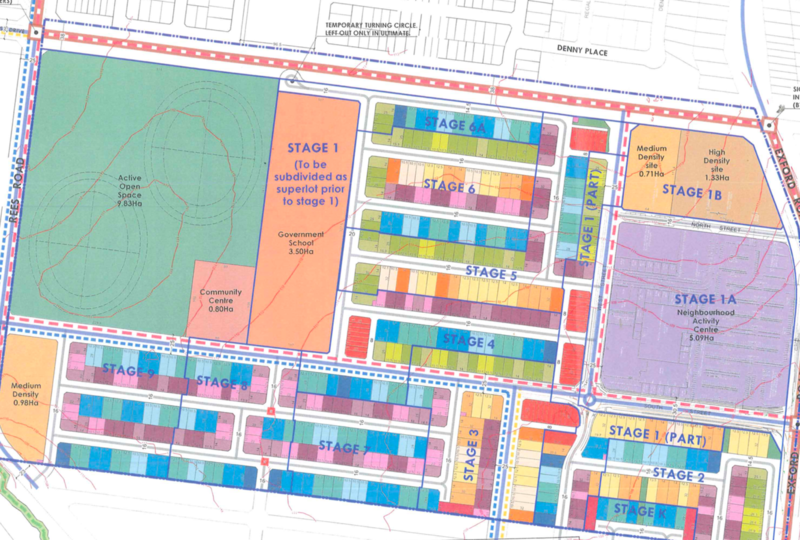 Mecone successfully achieved a planning permit for a staged 581-lot subdivision, which includes a Neighbourhood Activity Centre, land set aside for a future government primary school, community centre and a 9.83 hectare active open space. The site is located 35 kilometres from Melbourne CBD and south of the established areas of Melton. The future estate will be part of the new suburb Weir Views. The future estate and NAC is located 1.7km south of the Melton Train Station and 2km south-west of the future Toolern Train Station. Delivery of the residential estate Opalia and the NAC is underway. The Neighbourhood Activity Centre which will include supermarkets and a range of retail specialty shops. Pre-application meeting with Melton City Council. Preparation of Town Planning Report and lodgement of planning permit application. Ongoing project management for the delivery of each stages of the subdivision and delivery of the Works in Kind, including widening of Exford Road.